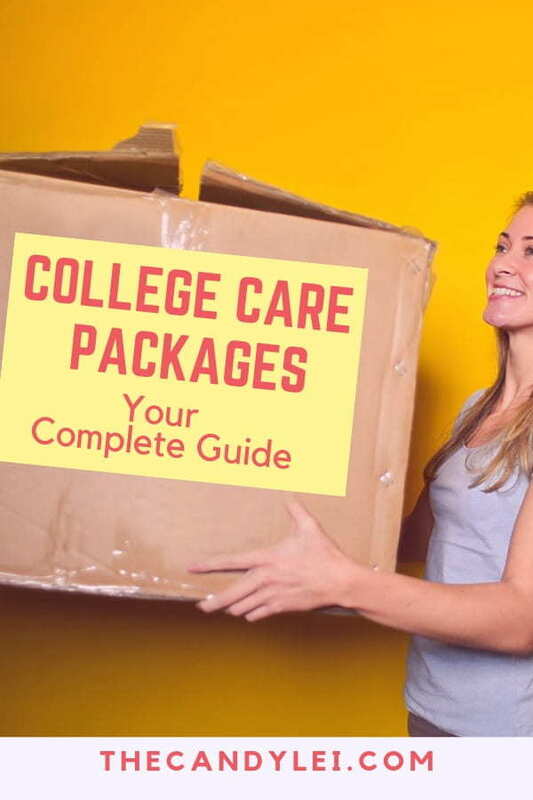 Create college care packages they are sure to love with the ideas found in this article. Can we all agree that receiving home-baked cookies, fuzzy socks, cheese unavailable abroad, or a warm throw blanket from your loved ones is one of the best feeling ever? We all get homesick, but one way for us to feel like the new country or state is home away from home is when we receive something from home. Even with the technological strides made over the years, phone calls, chats, and emails can only do so much. And in most cases, you miss home and your loved ones a lot more after talking to them. That is where care packages come in – those little but thoughtful items you get from a loved one. 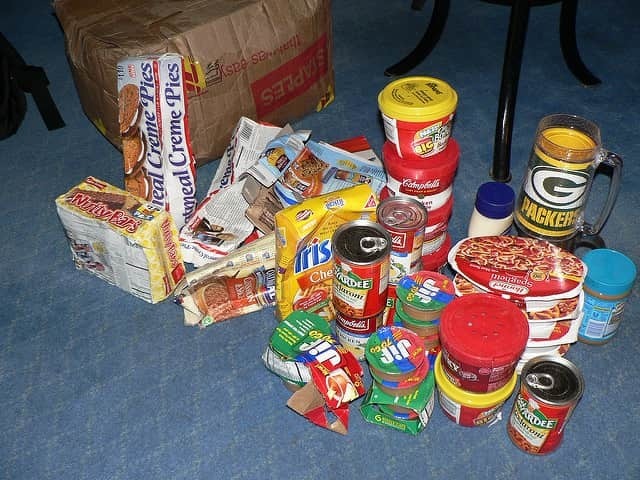 A care package could be anything from a luxury item to money or food/ snacks. As they say, it’s the thought that counts – nothing says that more than a personalized item from a loved one. No matter where you’re loved one is living, sending them a thoughtful care package can help them feel loved and cared for. Homesickness definitely tops the list of things new college students face. A simple and fun care package, however, can help them deal with that. While I didn’t really get homesick often while in college, I still enjoyed the occasional care package my mom would send out. It was always good to know she was thinking of me. Which brings us to another good reason to send your college student a care package. Sending a few thoughtful gifts or their favorite foods can help you stay connected with your child while they’re away. A great way for your child to stock up on their favorite snacks. You never know what your loved one is going through, and the care package could be exactly what they need. 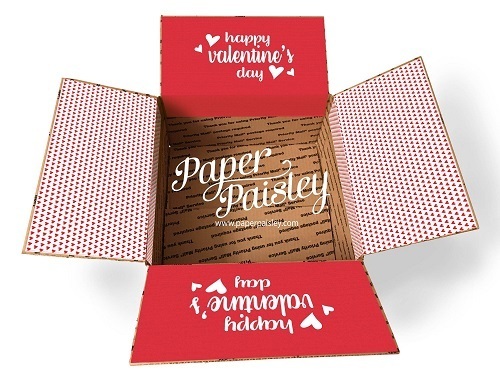 A card is a standard feature for any care package, so definitely plan on including one. If you’re creating a themed care package, that will dictate much of what you include. 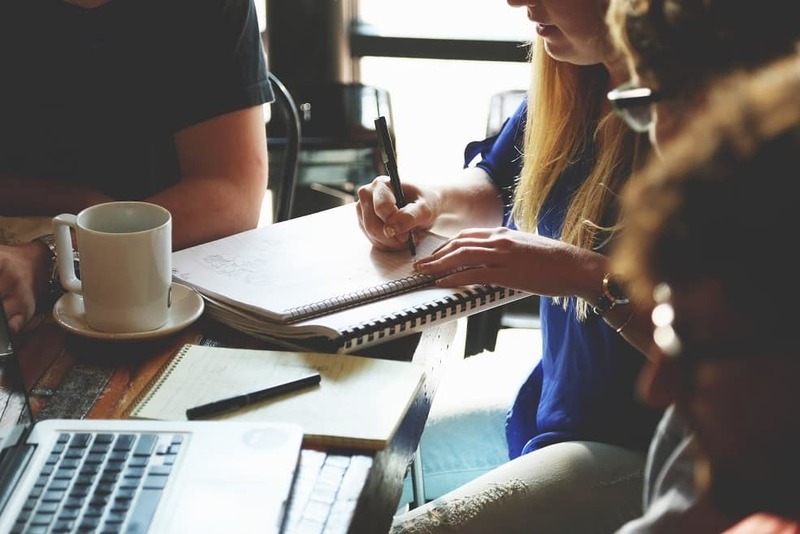 But you can use these questions to help you come up with some ideas. What is their favorite food or snack? What will make them smile or laugh? Which holiday is coming up? What might they need but don’t have the money to buy? What are they going through right now and what will help them? What will remind them of home? What will help them deal with stress? There are so many great reasons to send a care package. One way to spice up your care package is to focus it around a certain theme. 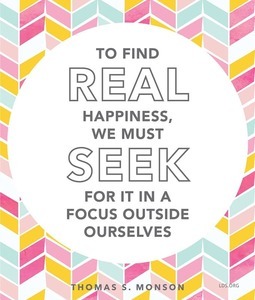 This is easy for holidays like Christmas, Valentines Day, and even St. Patrick’s Day. But you can also pick other themes you know your kid will love like working out, sleeping, pizza, traveling, etc. Toiletries, detergent, dryer sheets or even mesh bags they can use to wash their delicates. If they are not feeling well, sending a homemade soothing solution would be great. Unfortunately, you cannot send them chicken noodle soup. You could, however, send them microwavable soup, hand sanitizers, tissues, vitamin supplements, or cough drops, among others. Also, a copy of their medical insurance card. Finals’ survival kit – encouraging notes, nutritional snacks, school supplies, and energy boosters, among others. Little luxuries like their favorite magazines. Whether you should send a padded envelope or box the items. Look for the most economical option. And if sending the package to a developing country, note that customs might hold the box or the package could look valuable hence at risk of being stolen. Whether or not the item in the package will get to its destination clean and dry. It is a good idea to send non-leakables, non-perishables, and non-meltables. Food-related: tea bags, spiced cider packets, hot chocolate packs, cake mix, dried fruit, beef jerky, trail mix, breath mints, or granola bars. You could also send homemade edibles, but only if you are certain, the package will arrive at its destination within a week. If not, avoid sending fudge, cookies or other crispy treats. Other useful things you could send include gift cards, socks/ underwear, posters for decoration, notebooks/ journals, stickers or a deck of cards/ board games. You could also send items with sentimental value like newsletter clippings of things and events they missed, drawing or letters from the kids they love, your photos, and Open When… Letters. Should You Buy a Premade Care Package or DIY? Depending on the items you wish to send, how personalized you want the package, and the time you have, you could buy or create your own package. 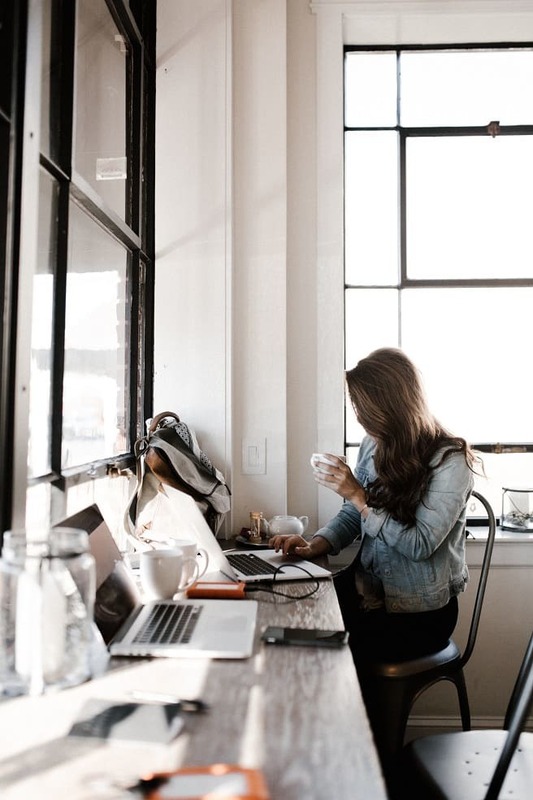 Now, while DIY packages are more personalized and you can be as creative as possible, buying college care packages often means not worrying about technicalities. 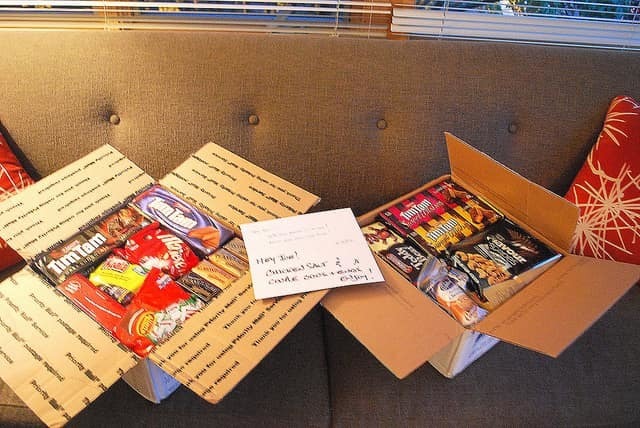 However, the recipients of care packages are often more appreciative of the DIY packages. Amazon is one of the top places for you to buy a package. They offer a wide variety of care packages for you to choose from. There are packages for college students, military personnel, snacks, and entertainment packages (games), among others. They have all kinds of snack care packages so if your child is a health nut, vegan, has allergies, or just wants junk food, they have options. If you are looking to buy fun packages for your loved ones away from home, you might want to try Gourmet Gift Baskets. Their packages include the ones for treats, snacks, and games, among others. The packages are befitting for different events/ situations. We all know that Etsy is one of the best places to buy unique items from. Well, you might like the fact that besides sending complete college care packages, they stock the best self-care luxury and unique care packages like Get Well Soon gift box or relaxation kits. Etsy sellers also have many different care package decoration items like stickers designed specifically to fit most popular USPS boxes. 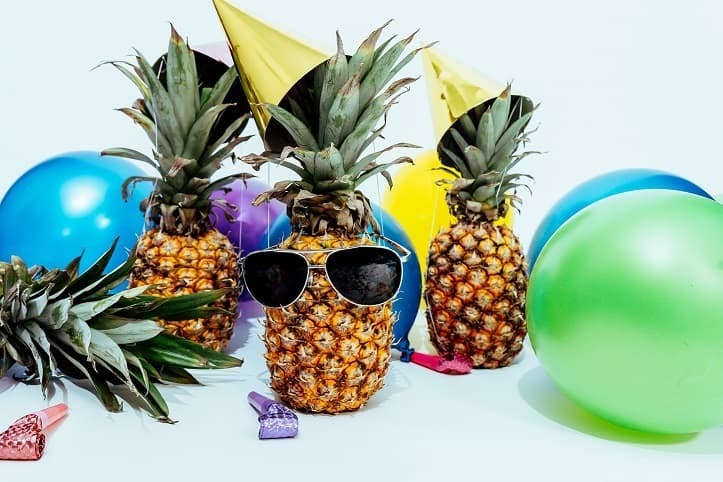 You can buy any type of gift box from Crate Joy, and the best bit is that you don’t have to worry about spending a lot of money – they have under $20 gift boxes. Their packages are categorized into books, beauty, family/kids, food & drink, geek & gamer, art & culture, health & fitness, and home & living. Godiva is the best place for buying a care gift box to a loved one who cannot get enough of chocolate. So, if you want to send a loved one gourmet truffles and chocolates, try this site. First, pack and seal everything in one box. Before sealing, take pictures. If sending foodstuffs, put them in a large Ziploc bag before putting them in the box. When mailing a care package, think about is its cost-effectiveness. One of the affordable mailing options, especially for shipments within the US involves the use of USPS flat-rate boxes. The boxes and the supplies are free. So, visit your nearest post office and pick the boxes to fill with goodies. Just make sure that the boxes are Flat Rate. If sending a package abroad, use USPS’s Priority Mail Flat Rate which promises that the package will be shipped at an affordable rate. You might also like this mailing solution because you pay per size rather than pound. Note that the USPS Priority Express option is the most expensive shipping option. There’s no perfect frequency for sending care packages to your student. The best thing to do is send them when you feel like they could use a pick-me-up. If they seem stressed out about some upcoming tests, or they’re worried about their job, or they’ve just ended a relationship consider sending them a package. When I was in school I typically received about one care package each semester. I thought this was a nice frequency but you could absolutely send them more or less often. My mom liked to send them around holidays, one for Thanksgiving since I typically stayed at school, and one for Valentine’s Day. No matter how often you decide to send care packages, just make sure you let them know you’re thinking about them and love them. To me, that’s what a care package is all about. Have a college student who’s getting ready to graduate? Learn how to make a graduation lei they’re sure to love!